SAN FRANCISCO (CN) – On the second day of a California trial over whether Monsanto’s Roundup weed killer caused a Bay Area man’s terminal cancer, his lawyers tried to convince a jury Tuesday that Monsanto suppressed research showing Roundup may be carcinogenic and ghostwrote research to defend itself in future cancer litigation. In a videotaped deposition played in San Francisco County Superior Court, former Monsanto toxicologist Mark Martens acknowledged that the agrichemical company declined to publish the problematic research done by fellow toxicologist Jim Parry of Swansea University in Wales. Monsanto hired Parry as a consultant in 1999 in the hopes of cultivating him as an ambassador for glyphosate, the controversial active ingredient in Roundup believed by some experts to cause non-Hodgkin lymphoma, according to internal emails obtained from Monsanto in the case. Parry concluded that both glyphosate and an Italian formulation of Roundup may cause genetic mutations, based on four studies published in the 1990s that came to similar conclusions. Parry’s results prompted Monsanto to abandon Parry as an ally, and the company refused at the time to give his research to independent scientists for further study, according to Martens. In an admission read on Tuesday by lawyers for DeWayne Johnson, the man suing Monsanto for allegedly causing his non-Hodgkin lymphoma, Monsanto admitted that it also did not give Parry’s results to the U.S. Environmental Protection Agency, which concluded in 2013 that glyphosate is not a carcinogen. In his deposition, Johnson’s lawyers asked Martens why Monsanto didn’t share Parry’s research with other scientists in light of the company’s assessment that Parry was a top expert in his field. Martens explained that Parry’s research was meant only to inform internal decision making, not research outside the company. “This was a preliminary evaluation, which led to a hypothetical assessment of glyphosate and Roundup, and we needed to figure out whether his assessments were valuable,” Martens testified of Parry, who died in 2010. “That was internal company information with the objective of understanding the effects” of two of the studies evaluated by Parry. 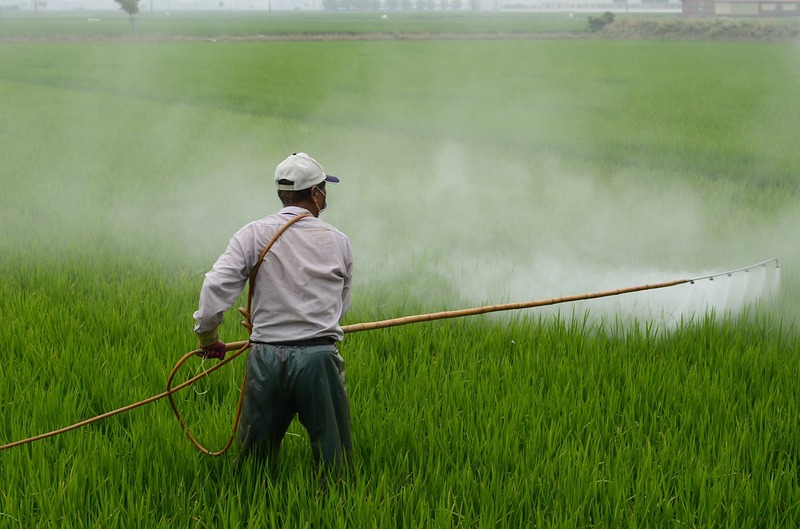 Glyphosate is the most widely used agrichemical in history. Monsanto introduced it in 1974, and its use exploded in 1996 after Monsanto introduced “Roundup-ready” seeds engineered to resist the chemical. More than 2.6 billion pounds of glyphosate were spread on U.S. farmlands and yards between 1992 and 2012, according to the U.S. Geological Survey. The alleged connection between glyphosate and non-Hodgkin lymphoma, along with the science behind it, has been heavily disputed. U.S. District Judge Vince Chhabria, who is hearing more than 400 similar lawsuits consolidated in federal court in San Francisco, ruled Tuesday that the science linking glyphosate with non-Hodgkin lymphoma is “weak” but admissible, allowing those cases to proceed to trial. Much of the evidence admitted by Chhabria is being used in Johnson’s case. In 2015, the World Health Organization’s International Agency for Research on Cancer (IARC) concluded that glyphosate is a “probable” human carcinogen, prompting a slew of lawsuits in the United States, including Johnson’s. In his January 2016 complaint, Johnson alleged that Roundup caused his topical non-Hodgkin lymphoma after he was twice drenched in the herbicide while spraying it in schoolyards for his job as a pest-control manager. He also claimed Monsanto has known for decades that Roundup is carcinogenic but didn’t disclose it for fear of disrupting its $6.6 billion global business. Although similar cases have previously been filed against Monsanto, Johnson’s is the first to go to trial. On Monday, Martens said that Monsanto conducted additional studies on the carcinogenicity of glyphosate and Roundup on Parry’s recommendation, and concluded that there is no link between the two and cancer. Martens added that Monsanto’s studies were more precise than those reviewed by Parry, using 10 animals at two dose levels rather than three animals at one dose level. But although those results were published in 2008, Martens said the results of 12 other cancer studies conducted by chemical firms have not been disclosed. Still, he insisted the science proves glyphosate and Roundup aren’t carcinogens. “More than 800 scientific studies and reviews, the U.S. EPA, the National Institutes of Health and regulatory agencies around the world have concluded glyphosate-based herbicides do not cause cancer,” Monsanto said in its statement. Monsanto executive William Heydens also testified by video deposition on Tuesday. He acknowledged that he had suggested Monsanto ghostwrite a study by independent experts to counter IARC’s impending conclusion that glyphosate is a probable carcinogen, but insisted the company ultimately didn’t do so. He also denied that Monsanto sought to ghostwrite the study to bolster its defense in the face of litigation it knew would be filed against it in response to IARC’s findings. Heydens admitted that he read parts of the article before it was published in a scientific journal, despite a disclaimer he knew the journal would run that neither Monsanto nor an attorney had reviewed the manuscript prior to publication. But he said neither he nor anyone else at Monsanto had made any “substantive” changes. “My job is to make sure that the science gets done correctly and is communicated correctly,” he said. According to Johnson’s lawyers, Heydens made 28 edits to the article in one draft alone. A Monsanto spokesman declined to comment on the trial proceedings Tuesday. Testimony before Judge Suzanne Ramos Bolanos continues Thursday.